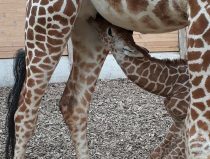 Accompanied by her mother Cristel giraffe Imara went outside for the first time. She discovered the savanna with her family and also met the kudus. The savannah was quite interesting, as you can see in this movie made by the zookeeper. 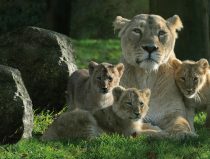 Imara will regularly ‘play outside’. A giraffes was born in May 29th, 2018. 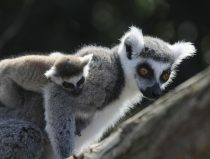 It’s a female and was called Imara (African for ‘strong’). Her mother is Cristel and father is Banio. Cristel is an experienced mother. She is doing very well and that is quite remarkable because she has had a difficult start itself and was raised with the bottle. With ten giraffes Rotterdam Zoo has one of the largest herds reticulated giraffes in Europe. Blijdorp has reticulated giraffes since the fifties.